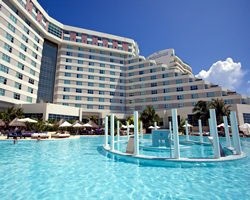 If you want an escape full of service and luxury, *ME Cancun* is your choice! The ME experience was designed with (you guessed it) YOU in mind. Staff will make all the difference in tailoring your vacation to fit your needs, and making sure you experience nothing but the best. 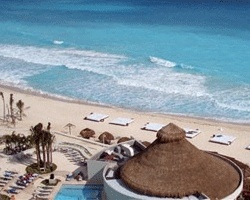 Guests can sign up for a complimentary shopping trip to Playa del Carmen (reservation required/subject to availability)! They will also receive a welcome in-room amenity from the Chef, and complimentary use of the Water Ritual at YHI Spa. The resort features an entire floor categorized as "adult-oriented", plus a lounge with spectacular nightlife and a Maxim pool bar. Not to mention Cancun is a playground in and of itself! For more information, visit www.solmelia.com. RTU until 2036! Price is negotiable. Ultimate luxurious getaway! RTU until 2037! Buyer may receive a title fee credit, inquire for details! Enjoy luxurious getaways every year! Floating week of your choice! Buyer may receive a title fee credit, inquire for details!